There is nothing more functional and aesthetic than a beautiful hedge that defines the path and guides the eye. By using the filter keywords on our catalogue page, we can help you make the right choice. Have you discovered the filter keywords on our Catalogue Page? Here you can search by form as well as use. 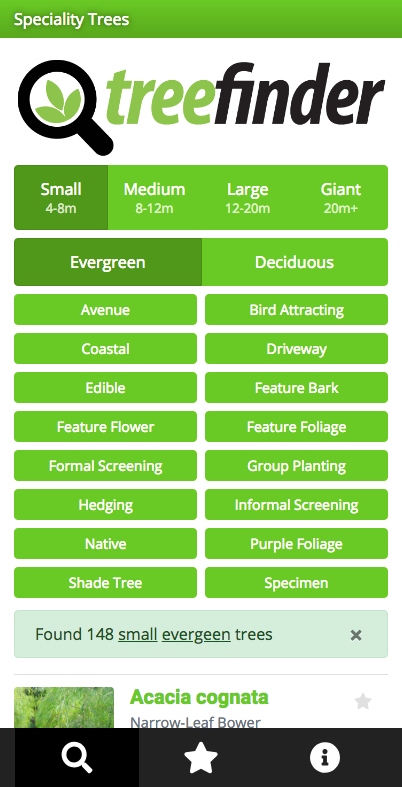 Under hedging, for example, you are presented with a list of over 10 tree types to consider most offered in multiple sizes to suit any budget. Click on any one of these trees and you are taken to the Library page where you can read more information or request a quote from us for supply. Below is a glimpse of material perfect for hedging this season. 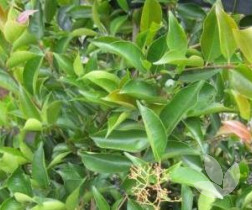 This is an attractive native fast-growing shrub or small tree. It has a slightly broader leaf than straight Acmena smithii and a semi-pendulous growth habit to ground level. 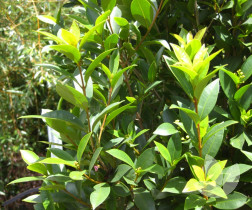 With densely packed foliage it is a good option for hedging. The new growth is glossy and copper red in colour - hence its name - maturing to mid green. We have excellent supply in 30cm and 40cm/27L containers. Such a popular line and it is evident why. 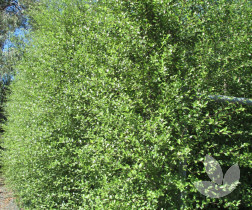 Growing to 10m tall and fast growing to boot, this species is an excellent choice for hedging. Allowed to grow to full maturity, it's a screen too. It's really up to you. Full and bushy, foliage is a mix of fresh greens. We have great looking material in 30cm, 40cm/27L and 50cm/52L containers but you will need to be quick! 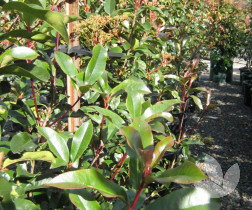 This red-leafed Photinia has been a traditional selection for a tall hedge or small screen since the year dot. Full and lush, new growth carries the signature red tinge which makes this species easy to spot in existing gardens and front yards. Talk to us about securing material in either 30cm or 50cm/52L containers for planting this spring. This is a relatively new line for us to grow but we are finding it a pretty option in light of 'Silver Screen' and other varietals with a straight leaf. 'Tasman Ruffles' offers just that - a noticeable delicate ruffle to its leaf making it a prettier version of what has been a very versatile hedging and screening line for many years. Ours are available in 40cm containers and are approximately 1.5m tall planted. 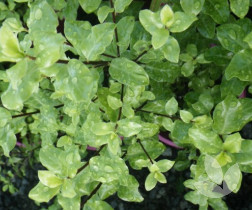 Tried and true, Pittosporum 'Silver Sheen' is our preferred silver - foliaged pittosporum. It grows moderately fast and is very easy to clip and shape. We have material available this season in 30cm, 40cm/27L and 50cm/52L containers. 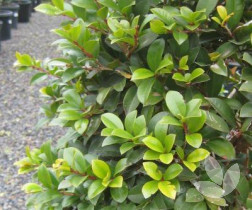 We are pleaching a number of 150L Hinterland Gold Syzygium for a customer at the moment which look fabulous! These will sit almost fence height creating a high hedge above an extensive space for underplanting. 'Hinterland Gold' is a great option for hedging as it is a moderate grower and very easy to clip into shape. We have good numbers in 20cm, 30cm, 40cm/27L and 50cm/52L containers. This is another popular line and a great selection for narrower spaces as it only grows 2-3m wide. 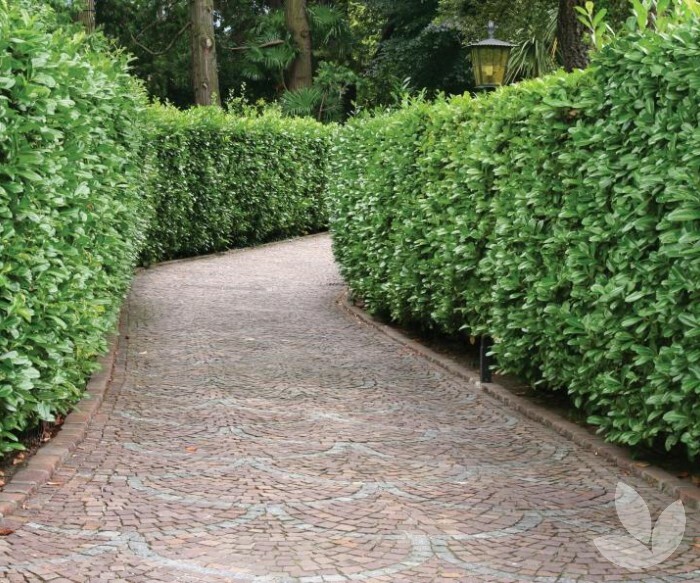 With this in mind it's main use is as a hedge but some customers have used the columnar shape as a substitute for Italian pencil pines along a footpath or driveway. We have material ready to go now in 20cm, 30cm, 40cm/27L, 50cm/52L and 150L bags. We think this tree is underutilised. 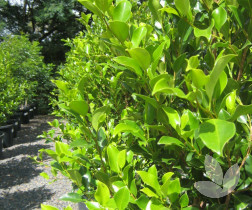 Growing 3-4m tall, this is an ideal specimen to use for formal or informal hedging. 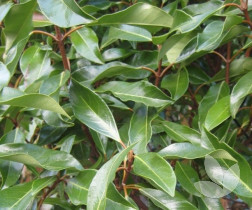 Its leaves are large, glossy and oval in shape giving a textural appearance. Beautiful white fragrant flowers are borne in panicles across spring and summer. As a fast growing species, it has a lot to offer. 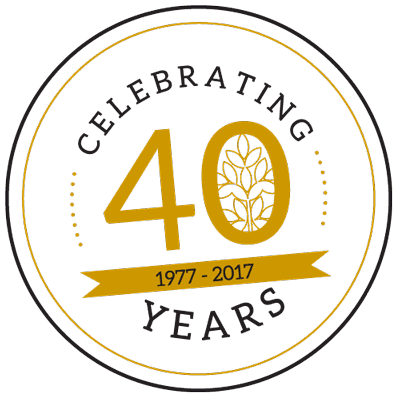 We have limited numbers, so you need to be quick for supply in 30cm containers.